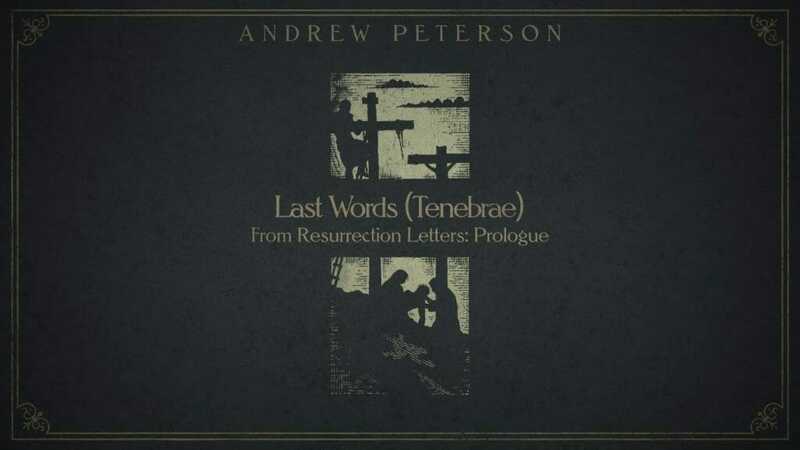 Since Lent, our entire family has been enraptured with song, “Last Words (Tenebrae)” by Andrew Peterson. It’s a song so powerful it literally brings tears to the eyes, and leaves even our kids requesting to listen again. Tenebrae (Latin for “darkness”), refers to a Christian service during the week leading up to Easter, often involving the gradual extinguishing of candles. The Last Words refer to the 7 last sentences Jesus spoke as he was crucified on the cross. Hearing his own words sung in a round is musically mesmerizing, and strikes you with the gravity of all that he came to accomplish during his earthly ministry.